Flying can be extremely stressful. Help reduce anxiety, back and neck pain by taking on board my in-flight tips. For some people anxiety starts as we wait for our ride to the airport, so start preparing early with simple breathing techniques which you can continue to do once you get on the plane: Inhale to allow your lungs to fill completely, briefly pause, and exhale fully, pausing before your next breath begins. Repeat this breathing until you feel yourself relax. Once on the plane I advice you add some mindful thoughts into your breathing using positive word that are comforting to you. Inhale, silently ‘I am comfortable’. Exhale slowly ‘I am safe’. Inhale saying silently ‘I am relaxing’. Exhale slowly ‘I am secure’. Repeat until you feel relaxed and less anxious. Medication can be a great help for sleep on the plane and when you reach you destination. There are a few apps available to help you get started. If you’re new to meditation and looking to learn the basics, the Headspace app is for you. If you’re looking for more than just meditation and would enjoy relaxing bedtime stories and background music as well, try the Calm app. If you’re a beginner or intermediate looking to quickly develop meditation as a habit and are serious about training your mind for less stress and anxiety, get the Muse headband and app. 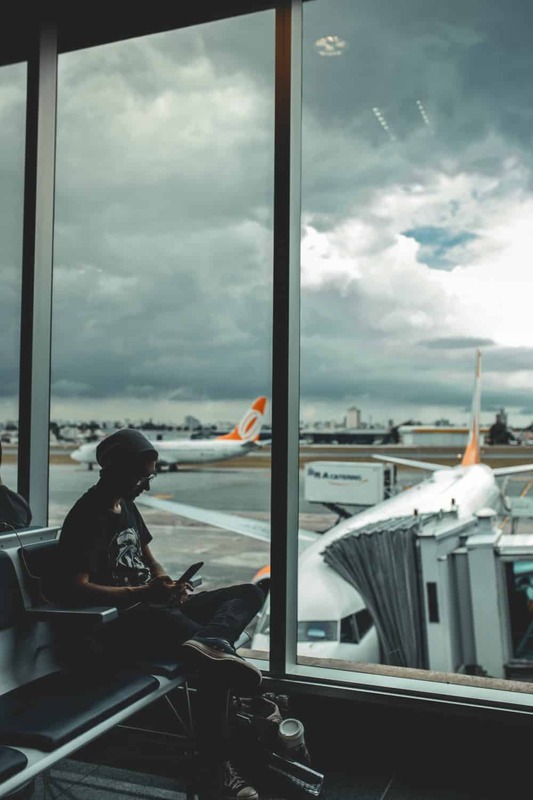 My advice is to skip alcohol and caffeine on the plane as it can be dehydrating and can make it more difficult for your body to adjust to jet lag. Have a herbal tea drink, cherry juice and plenty of water. Try your best to sleep in a comfortable position to eliminate back and neck pain. Bring a neck pillow filled with micro-beads or an inflatable pillow that is shaped like a horse shoe which tucks neatly behind your neck and prevents your neck from falling sideways or forward. These pillows allow you to adjust to any part of your head or body that may need support. Fly well, fly comfortably, fly safely!